Finding the right dress for you to wear on your big day is hard enough but the next challenge is finding the right dresses for your Bridesmaids. Lets face it a normal Wedding party will probably consist off at least 2 to 4 or even 6 Bridesmaids to accompany the Bride on her walk down the aisle. to suit 1 dress. Lucky enough as Wedding goes nowadays most Brides are very considerable when it comes to kitting out their Bridesmaids and most recently Pinterest boards are full of different shape and coloured Dresses! Or in my case due to having so many cousins (who all live in Germany which makes dress shopping rather difficult) and good friends and not wanting to exclude anybody i ask all of my lovely girls to go out and find themselves a red coloured dress (because red is my favourite colour). I cant wait to see what they have picked to wear for our big day! It certainly will be very “ombre” coloured in the picture! Recently i came across this brilliant guide for bridesmaid dresses for every shape. Have you taken your Bridesmaid shopping yet? Will you ask them to wear the same style and colour dress or can they mix and match within your colour scheme? 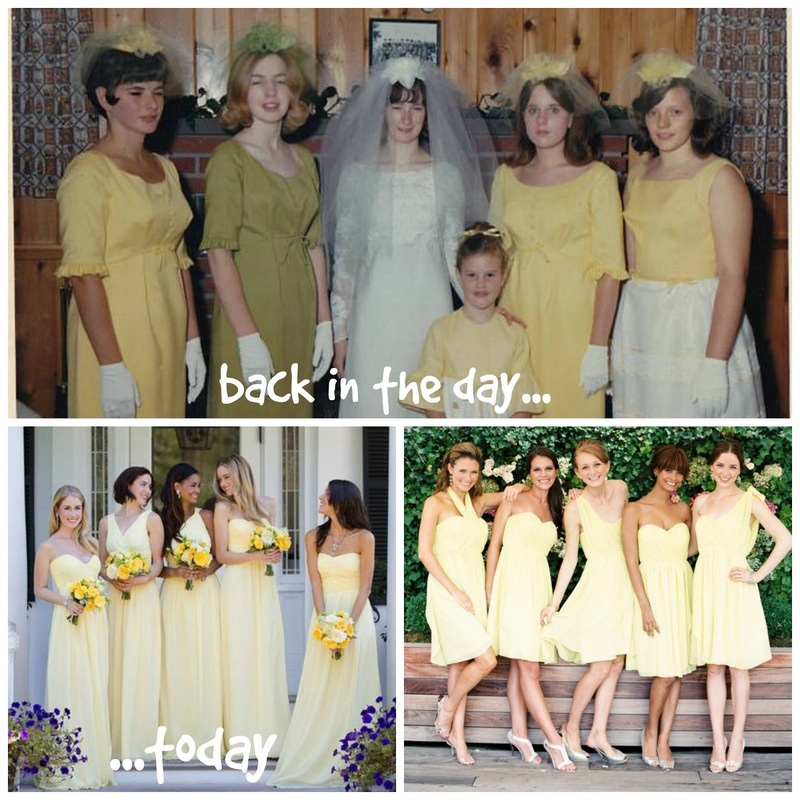 Or if you a married already what did your Bridesmaids dresses wear on your big day?